Happy New Year to all! My two years as the president of Rodeo Boosters are coming to an end with the start of 2015, and I am so thankful I had the opportunity to work with such a fabulous group of supporters and students of the Cal Poly Rodeo program! To name a couple of highlights, during the last two years we successfully improved the stalls on the rodeo grounds, and have increased our scholarship program to include the Karl Giacomini Memorial Scholarship and Smooth Mouth Scholarship funds. In addition, the Cal Poly Rodeo program has continued to flourish under the leadership of Rodeo Coach Ben Londo and the talents of the current students competing under the green and gold Mustang colors. Cal Poly’s Taylor Santos-Karney brought home the national championship title in Tie Down Roping from the 2014 CNFR, and his brother, Lane Santos-Karney was voted in as the current National Intercollegiate Rodeo (NIRA) Association president. With national involvement and recognition, Cal Poly Rodeo is staying true to its roots as one of the initial universities to compete in the NIRA. Of course, the continued success of Cal Poly Rodeo and the western tradition at Cal Poly wouldn’t be possible without the support of the program’s alumni, friends and fans. The achievements of all these Cal Poly Rodeo students is due to their dedication to academics, honing their talents in the sport of rodeo, along with support from the university’s staff including President Armstrong, and especially the monetary and facility improvements donated by Rodeo Booster members. Each of us plays a critical role in ensuring the opportunities given to us through the rodeo program are sustained for current and future generations of Cal Poly Rodeo. If you are currently a Rodeo Booster member, please be sure to renew your membership for the 2015 year. If you are not yet a member, please join! This crucial organization helps Cal Poly students experience the Rodeo Program’s educational and rodeo opportunities by raising funds for scholarship and facility improvements. 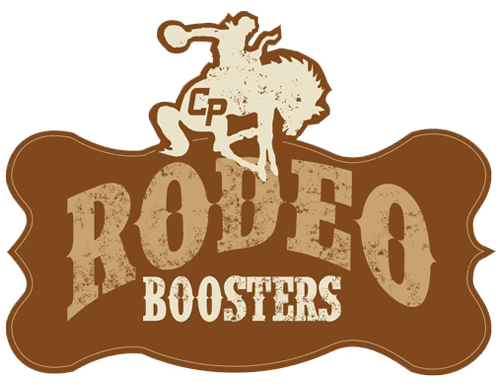 Rodeo Boosters not only provides scholarship monies for rodeo program students throughout the year, but also administers three specific scholarships which are awarded each year at the Annual Rodeo Banquet. You can donate specifically to these scholarship funds so that we can continue to award them each year and honor the memories of their namesakes. Karl was part of the Cal Poly Rodeo Program in the late 1990s and early 2000s. We lost him tragically this past summer, and want to honor his memory for the hard work and dedication he gave to the Cal Poly Rodeo program throughout the years. This scholarship will be awarded each year to a student who demonstrates many of the qualities that Karl possessed, including going above and beyond to help with tasks around the rodeo arena. Thank you so much for your continued support of the Cal Poly Rodeo program! The students are truly a great, talented group, and have consistently shared with me over the years how truly thankful they are for your support as a Rodeo Booster!